Ten or twelve years ago, if you really needed to find me but I wasn’t answering my phone, you would have looked for me in the library. College was one of the happiest times in my life because it was my job as a student to amass knowledge. What’s funny is that sometimes I feel like I retained so little of it – adulthood does that to you – but there are still fragments that I recall. What I remember the most are the Middle Ages. In my early 20’s I was in thrall to that period of history. It was real and mythological at the same time. I’d devour books about warfare and the art of courtly love in the same way that I would read novels. I’d save the densest passages of Le Morte D’Arthur for my weekend enjoyment, sitting under a tree in the park while yet another knight got his head lopped off. 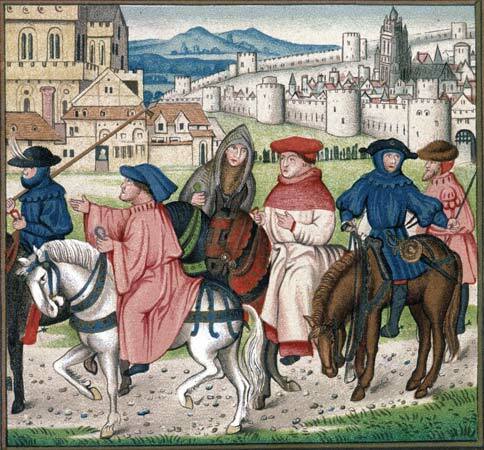 Part of my fascination with the Middle Ages was that I viewed it as a time so unlike our own, a place where I could escape and muse at how lucky I was to live in modern times. But I was mistaken. Our ancient relatives weren’t unlike us. Take their veneration of religious relics. The tooth of Christ. A shard of bone from St. Peter. The hem of a garment worn by St. Paul. People would travel great distances at huge expense and peril just to view these (often phony) objects because having a physical interaction with them gave their faith – which itself was a huge component of their identities – a palpable component. These fragments helped the faithful make sense of their own place within the universe, and they give their personal spiritual narratives credence. Relics helped them fill in the gaps of their faith. Relics made the faithful know they were part of something bigger. They had a history outside of the realm of what they could know. Historians, like the fishes of the sea, regurgitate fragments. Only supernatural power can reassemble fragments so completely that no particle is lost, or miraculously empower the part to be the whole. The first thing I remember is my brother being born. I was about three and a half at the time, right at the age when your mind is truly capable of trapping and retaining events for the long haul. I don’t actually remember my brother as a newborn, even though I now anchor these memories in his birth. All I remember was getting a new Barbie doll and a bag of Skittles. The Barbie had on a white dress with a pink waistband and sleeves. My parents gave me those toys and told me they were from him. Sometimes I wonder if I remember the Barbie and the Skittles because my parents – whose memories were more concrete than mine at the time – always included the details of the Barbie and the Skittles in the story of Trevor’s birth, but I’m pretty sure they stuck in my own mind because I recall playing with them alone in the driveway of our house. Barbies and Skittles aren’t much on their own. I’m sure I ate lots of candy as a little kid and I know I had tons of Barbies, but those specific objects from that time in my life have come to mean so much more to me. Their power is twofold. When I dig deep in the archives of my life, they are the oldest objects that I retained. If my history were a museum, the doll and the Skittles would be cordoned off with clear plexiglass or a nylon rope because of their rarity. But like relics, they are things that tie me to my bigger, longer narrative that I am still trying to put together. They indicate love; even though my parents told me they were gifts from my newborn brother, I know that they were really from my parents who wanted me to feel a part of our growing family. The addition of a new child to the family is always a little hard for the other kids, and they knew that. They wanted me to know that we were all in this together. So, in a way, when I look at these objects and use them to curate my own story, I am venerating them just as a medieval pilgrim would have. We are all just looking for our histories and trying to find objects and ideas we can put our faith in. Check out our new Remember the Time badge! Like it? 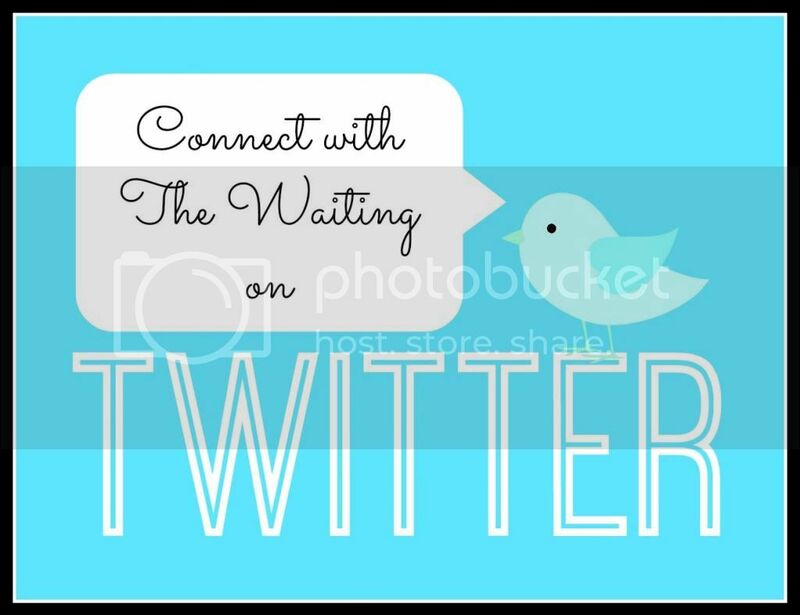 There is still time to link up with us for this month’s RTT challenge! This month’s theme is first memories. (For full instructions, click here.) If you’d like to participate, write your post and stick the badge at the bottom. Then, add your link to the Inlinkz box at the bottom on this post. Your memories are so sweet, I love the idea behind the challenge. Today, in our quest to simplify, and cut the clutter, we make these split-second decisions to off-load relics of our past, but we really are erasing our history. I’m glad you retained the Barbies and the Skittles. I don’t think I have anything from when I was a kid I remember that clearly. And look around my son’s room today and am so quick to give away all this toys he no longer needs….perhaps it’s time to hesitate, and make a few choice decisions on what we want to keep as relics of an earlier time. Great food-for thought…. I do the same thing. I took a ton of her old toys and stuff to the children’s consignment store a few days before Christmas just to make room for all the new stuff she’d be getting, and the woman working there said that I wasn’t the only one. Some of their busiest buying days were the lead-up to Christmas. But I wouldn’t worry too much. Kids have an uncanny knack for holding on – both mentally and physically – to the things that they really care about. You are quickly becoming one of my favorite bloggers to read. I too loved nestling myself in the corner of a library and devouring books. I love the way you write!! 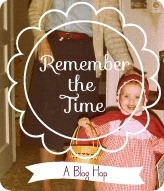 I’m hoping to take part in the Remember The Time Challenge….I only have a few days left!!! Oh my goodness, thank you! I write really silly things too sometimes so I hope you like that kind of stuff as well. I’ve been going through an uber-serious phase lately but I should be back to writing haikus about Pop-Tarts soon. Really hope you join RTT, but if you can’t make it this time we’ll have a new theme soon. Thanks! I had fun making it. 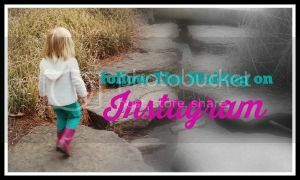 I may be developing an addiction to PicMonkey. I used to spend a lot of my time in the library at school, and in my senior years was a librarian. My reasons were different though as I was a bit of a loner. I remember being bitterly disappointed that ‘Classics’ was not a study of Greek Mythology (loads of relics and goings on) but the Latin language. In latter years, I wonder if I missed a librarianship vocation by turning to books of another kind (accounts). But then figures always interested me. I still have a dream to be a librarian someday. If I ever go back to school, it will be for that. Libraries are my natural setting. I even love the way they smell. That’s interesting. I’ve never sat and considered my own history from that kind of perspective. I have touchstone moments from my past, but I just accept them without really going over them. My faith (in myself, I guess) comes from different sources. Have you read A Discovery of Witches? In the second book of the trilogy, they time travel to Elizabethan times. I haven’t! I should add it to my list. Excellent parallel btwn medieval and modern life. You have such a clever mind, Emily! Thank you! I think I lost a few people with this post but I can’t help my love for all things medieval. Me either! Tomorrow I get to meet my FAVORITE Medieval historical fiction writer, Sharon K Penman at the Tucson Festival of Books – I’m giddy with excitement!! Wahooo! Have you ever read The Once and Future King? I think you’d like it. I keep hearing about it and I know I need to – Sharon just released A KING’S RANSOM so I’m deep in that – but that one is on my list. I just reserved it at the library – by T.H White, correct? Correct! It’s one of my all-time favorites. Such a great book. Maybe it will come with a relic of a splinter of wood from the true cross…or not. This is making a little nostalgic for the good ol’ days :) In the best kind of way of course. You should link back up with us! Your writing is awesome, Emily! I really love how you connected such arbitrary concepts like the Middle Ages and candy, it makes me think about the ways I can go further with my own writing!! Awww, thanks Meg! The Middle Ages and candy are pretty much 90% of my mental makeup. The other 10% is diapers. Good times. That’s amazing that you have memories that old. I wish I did. On a side note, have you read Pillars of the Earth? If you love that time period, I’m sure you have. But, if you haven’t, you TOTALLY should. One of my top 5 favorites. Promise me you will. It’s worth the read. Although, I don’t know my time periods too well. Are the dark ages and medieval history the same thing? Anyway, it’s historical fiction, and it’s SO good. “my bigger, longer narrative that I am still trying to put together” – Love that! P.S. Skittles are a relic from one of my early memories as well. What’s funny is that I’m not a huge fan of Skittles now. I am much more in love with pretzel M&Ms. Thanks for reading, Becks! It’s interesting – I have a very close friend whose parents did the exact same thing- gave him a gift when his baby sister was born, and told him it was from her! I wonder if they all got this out of the same parenting book? I don’t think I remember earlier than 5. I’ve tried. All I have are memories of memories. If you know what I mean. This was beautiful, Em. I loved the way you worked in Medieval History. They probably were reading from the same parenting book! My mom still swears by Dr. Spock, the most epically-named pediatrician of them all. I can relate to the library and fascination with historical eras. Mine wasn’t the Middle Ages, however, it was the 1800s. People leaving everything they ever knew behind, jumping a ship to sail to America— or those that lived in the Midwest & when mining dried up they trekked westward only to be captured by Indians—- sigh— fascinating stuff. When my hubby & I moved after college I remember being preg with our 1st & in a totally new place, not knowing anyone—I found the nearest Barnes & Noble and library— felt right at home! Great post. Glad I stumbled on your blog. Thank you! My mom had an unquenchable thirst for knowledge about the 1800s and, particularly, the Civil War when she was in school. It’s always great to be able to escape to another period of time when modern life gets to be a little too much. You’re at the top of your game, Emily. I agree. This post was exceptionally well written. I wrote my college essay about the day my brother was born. I was two and a half, not three and a half. My mom wanted me to hug her, and I tried to push her out of bed. Thank you! I am looking forward to reading it! I sometimes worry about what I am bringing to my children’s lives in this regard– what will they remember? Will it be special? Will it be enough? One of my friends reminds me that they are making their own memories, and as you said, it will not be through my adult perspective. Which one did you watch? The CGI (new version) or the old, hand-drawn one? I’ve only watched the old ones . . .every time I see one/read an Angelina book, I want to climb in and live in her house. Ha, ha! Yes, one might reappear but in the form of an E-Bay purchase! Books are my absolute favorite things. Before we moved to Korea, my husband and I sold a ton of ours and now I really regret it. Books are just so personal, and even though I love my Kindle, I don’t have any sentimental feelings attached to it. The Padawan gave his sister a toy horse when he was born. Even though she knows where it came from, she still thinks of it as a gift from him. I would love to participate. I am, however, struggling to come up with a relevant first memory. Dum-dee-dum-dee-dum. ← I am clearly not the only reluctant mommy blogger.